Rounded Tip Scissors With Corn Plastic Handles - 5"
Stainless steel 5”/127mm round-tip scissors. The handles are made from corn plastic, which is a non-toxic and renewable source that is also 100% biodegradable and compostable. 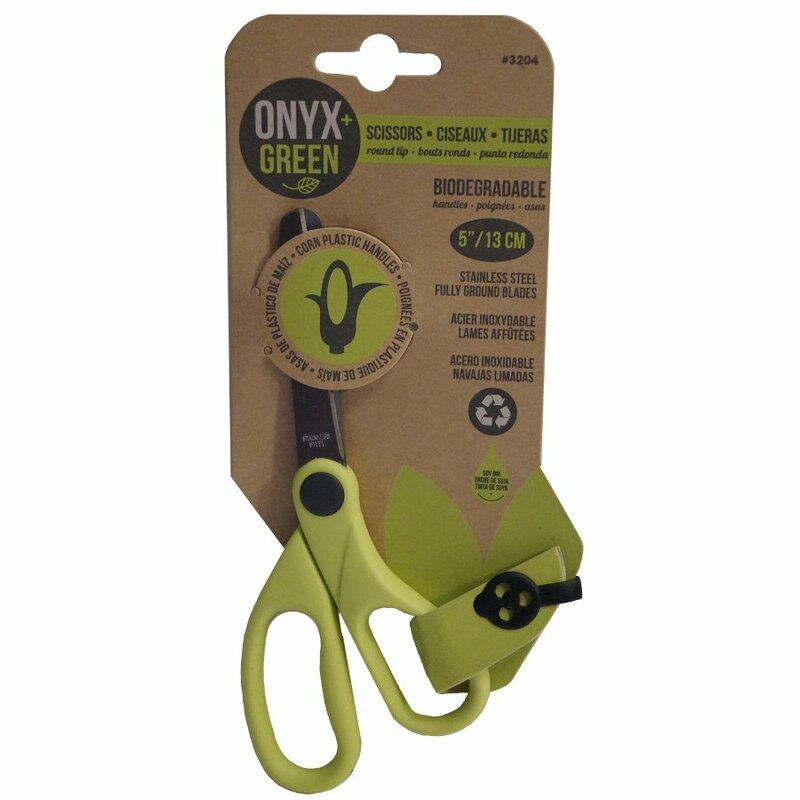 The Rounded Tip Scissors With Corn Plastic Handles - 5" product ethics are indicated below. To learn more about these product ethics and to see related products, follow the links below. Small scissors, maybe more for children than for adults. I bought them to use in the kitchen and they work fine. There are currently no questions to display about Rounded Tip Scissors With Corn Plastic Handles - 5". Onyx & Green is committed to creating high quality stationary made using eco-friendly materials, mostly recycled or natural. It is the first brand of its kind to introduce whole stationary ranges from pencils to notebooks to bags created from materials made from post-consumer and post-industrial waste as well as sustainable materials such as bamboo, stone and cornstarch. The aim to protect the environment does not stop there, all packaging used is made from recycled materials too and often printed with soy based inks.